I have a GMT II Batman (116710 BLNR). I am trying to find out if there is a 1.5 link available. if not does any other bracelet with Glidelock clasp or similar fit well or even at all. Thats great news for me. Polishing the centre link is easy for me. It'll be a DIY job. I met a gentleman at the airport the other day who had a brushed bracelet with glide lock. He bought the bracelet new and had it installed on his BLNR. I am thinning that if the link is the same, then I might be able to change the clasp over to a gridlock one. Now I have to do some thinking. 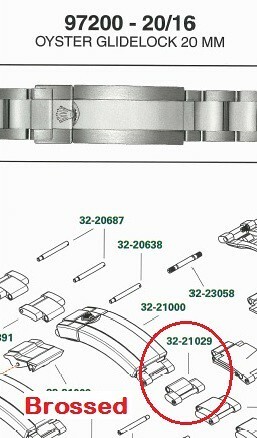 Previous Topic: Datejust 126200 - is this a new 2019 reference?